With Quentin Tarantino looking to retire after his tenth film, a spotlight has been put on his last couple of movies. He is hard at work on developing his ninth picture for Sony, revolving around the Charles Manson murders. However, his tenth (and presumably last) film is currently up in the air. But, knowing Tarantino, it was safe to assume that it would based off an original screenplay of his. However, that may not be the case. If reports are to be believed, Tarantino's next project may actually be building off of an existing property. 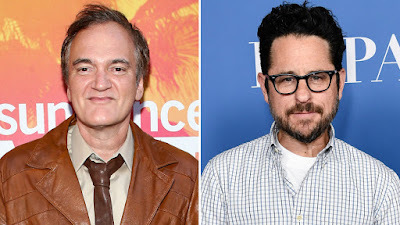 According to Deadline, Tarantino shared an idea that he had for a Star Trek movie to the series' director and producer J.J. Abrams (who is currently working on Star Wars Episode IX), who helped Tarantino pitch it to Paramount. A writer's room has since been assembled to flesh out Tarantino's story, with Tarantino himself potentially directing the movie. This is huge surprise. I never thought we'd see Tarantino direct a film within a previously established universe. And I'm excited by the prospect of seeing him work within such limitations. Now, this is still a big maybe. All that is certain is that Tarantino came up with a story. He could end up directing, but there's also a strong chance he doesn't. But if Tarantino doesn't direct, I don't think it would be because Paramount didn't want him to; it would be solely Tarantino's decision. If this ends up happening, and Tarantino directs a Star Trek movie, then I would certainly be interested. I would ultimately prefer a straight Star Trek 4 that isn't "Tarantino-ified", but I would be curious to see what it would look like. My question is whether this will actually be the fourth Star Trek film with Chris Pine and Zoe Saldana and that whole crew? It would make sense for Paramount to continue on with that series, but I feel like Tarantino would want to do his own new incarnation. So while it's not a certainty that, if Tarantino did a Star Trek movie, it would be a reboot, I can't rule it out entirely either. I would prefer they didn't reboot it, since I love the cast of these new movies. But it is still a possibility. Now, the last we had heard of the previously planned Star Trek 4 was that Captain Kirk's (Pine) father, played by Chris Hemsworth in the first movie, would return. There's a chance that Tarantino's idea does play off of that, but my guess is that, if we they go with Tarantino's story, it would go in a different direction. Only time can tell whether this comes to fruition at all. What do you think? 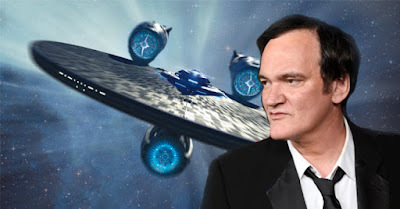 Do you like the idea of a Quentin Tarantino-directed Star Trek movie? Will it be Star Trek 4, or will it reboot the series? Is this a fitting end to Tarantino's career? Leave your thoughts in the comments section below.